Here's our top ten new music artists for the week. The Rhino interviewed Sal Abruscato from A Pale Horse Named Death! Check it out! 2018 Top 89 Countdown Recap! We counted down the Top 89 most spun new music songs of 2018! Check out our interview with Silvertomb! The "Rotten Apple Fest" concert series is coming this Fall! Check out this week's top ten new music charts! 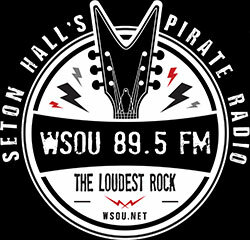 Due to an external IT issue, all of WSOU’s audio streams are currently offline.